Candice joined the salon in August 2014, and has had an extensive career of more than 15 years in Hairstyling in a very large salon in Adelaide. Having decided with her husband to bring a young family to live in the most beautiful place in Australia, Candice has found the salon she has been looking for to enjoy her passion on an elevated level, to take time with each client and build relationships. 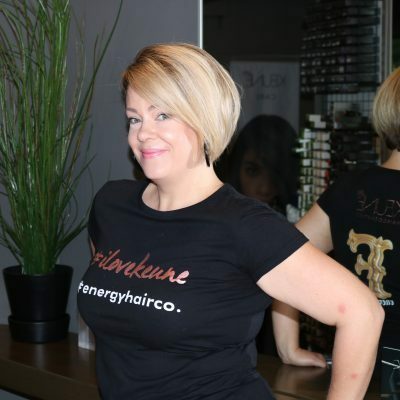 You will find Candice a very calming and understanding Stylist who installs confidence and trust in her clients from the moment they meet her. With a technical understanding of Keune Tinta and Semi Colour, Keune So Pure Colour and all forms of lightening and toning, Candice delivers Excellence in All her colourwork, whether it be Solid colour, Ombre, Foils or freehand placement to suit the Cut. Candice is a dedicated stylist and a master in her Craft. Copyright © 2019 Energy Hair Co.